An exploration of the traditional leaf table. FoldDown, starting as a closed wall table, expands in stages to accommodate up to six people. The structure is fully expressed outside of its 'frame'. 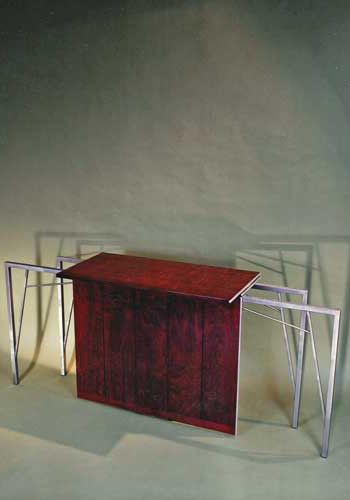 The multiple variations allow this versatile furniture type to creatively impact and adapt to architectural space.